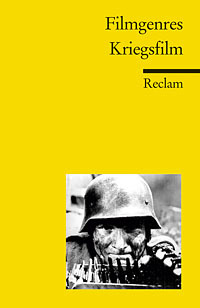 I know this is not of great importance to the majority of my readers who might not read German, still I feel it is important for those few who do to inform them about this book that is one of the best books on war movies that I have. Each chapter is written by another author and most of them are very good. The authors review and analyse in chronological order some 65 war movies. As just said, the book does not only contain reviews like you find them in many other books but an in-depth analysis of every movie is provided as well. What I appreciate most is that it includes movies from many different countries. The choice is very convincing as well. Sure, there are some movies missing that I would have liked to see included but that is always the case. Be it books or lists. A further asset is the introduction in which the editors (Klein, Stiglegger, Traber) try to define the genre and name topics and themes. This entry was posted in Books, Movie Guides, War Movie and tagged Books, Filmgenres Kriegsfilm, Movie Guides, War Movies.